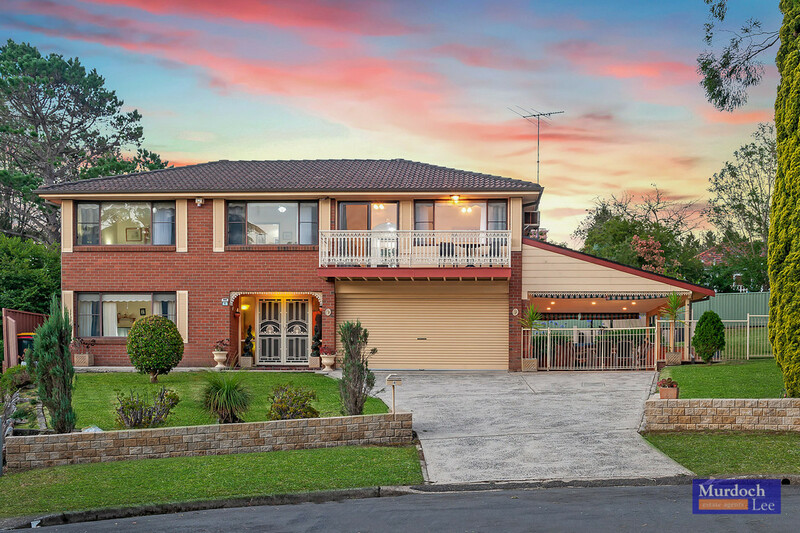 Perched gracefully across the entire top end of a leafy cul-de-sac, this double storey home oozes warmth and potential. 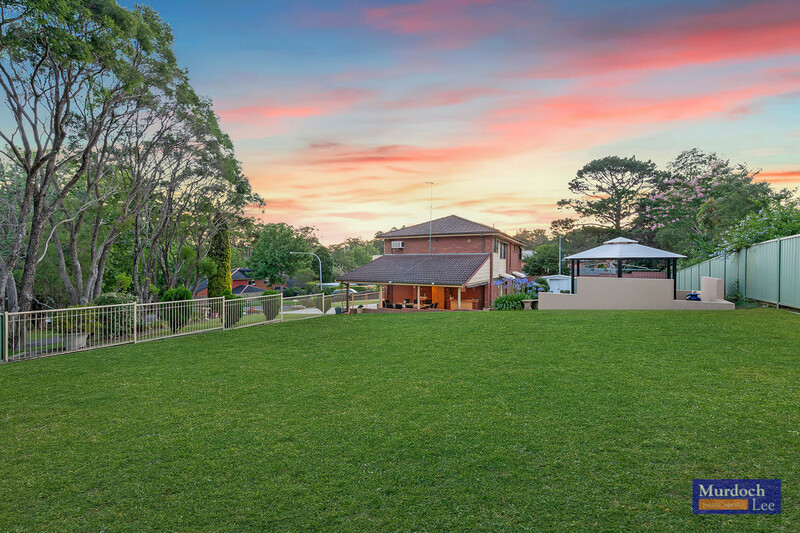 Enjoy an enviable outlook to a tree-lined locale, where this massive 906 m2 (approx.) 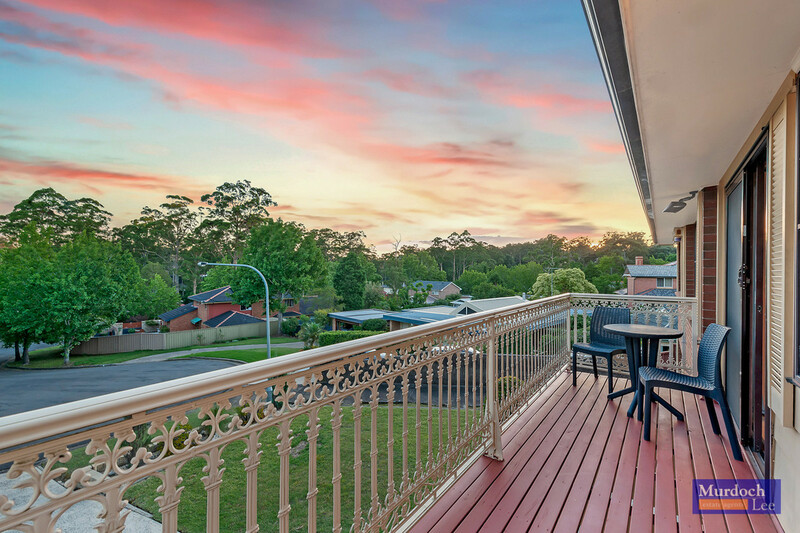 block presents excellent prospects for a granny flat or duplex development (STCA.). 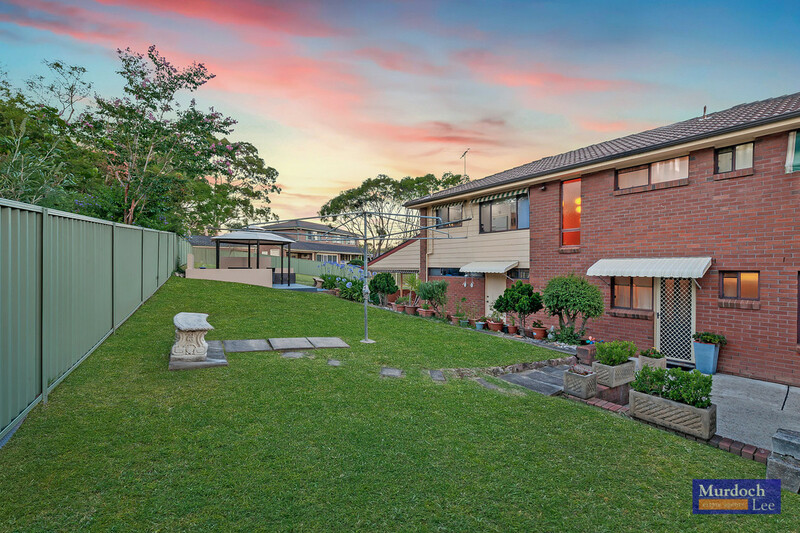 Within the catchment of the much sought-after Murray Farm Public School and the bus-accessible to Tara, Kings, James Ruse and Muirfield High School. 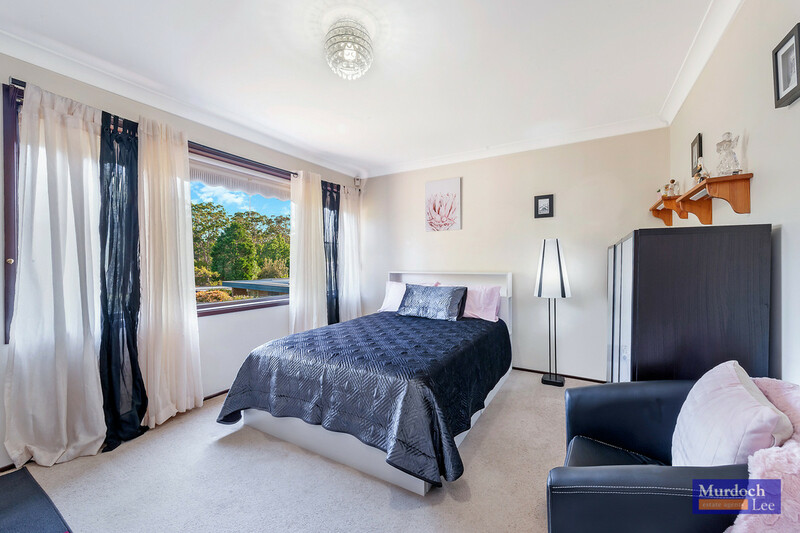 Shopping is a breeze with a stroll to Carmen Drive shops, or a short drive to either Carlingford Court or North Rocks Shopping Centre. 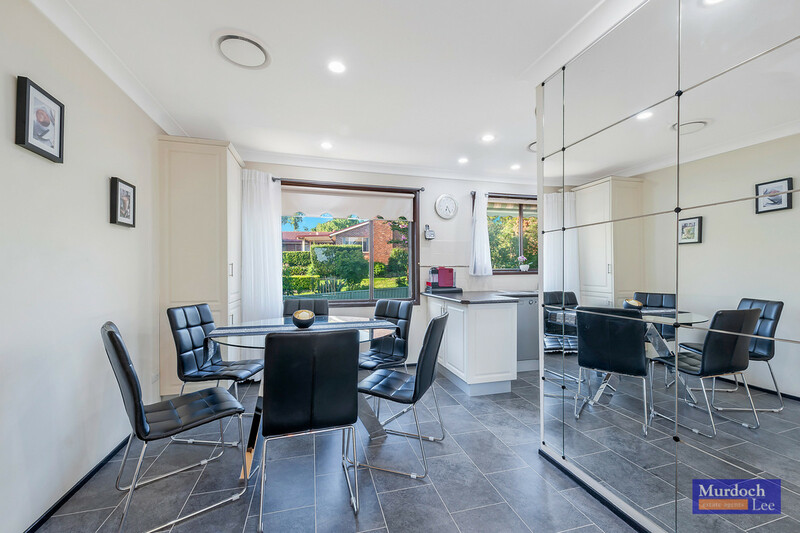 Walk to local bus stops to access Parramatta and Castle Towers, or the 610X City Express bus from the M2. 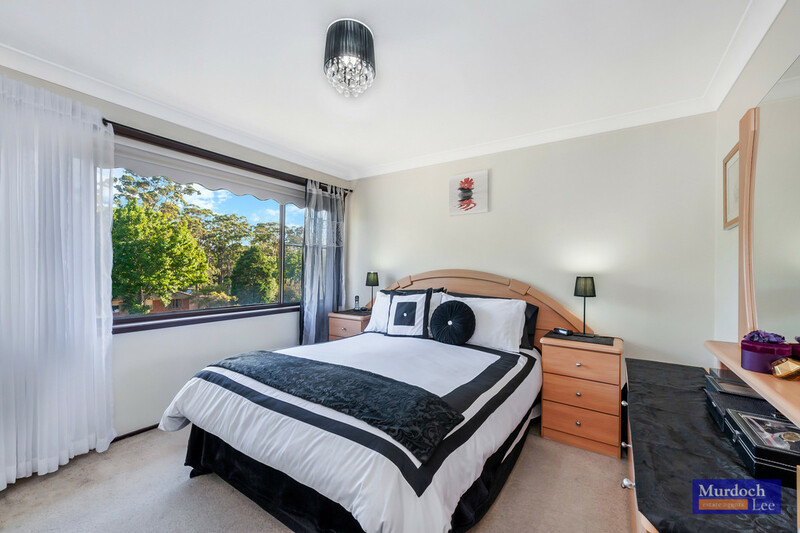 • Three upstairs bedrooms, all carpeted and ducted with built-in robes, while Master bedroom boasts spectacular window views, and downstairs bedroom can be converted to rumpus. 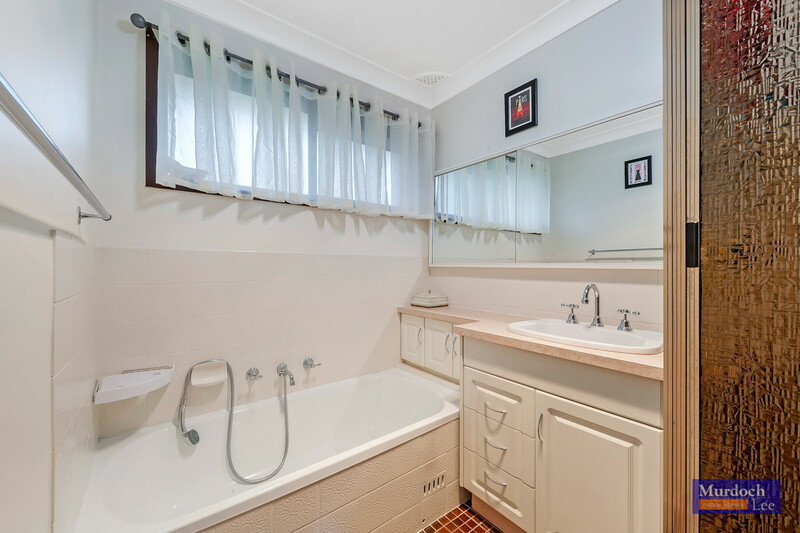 • Two handy bathrooms with separate upstairs toilet, built-in linen cupboard and extra storage cleverly concealed under stairs. 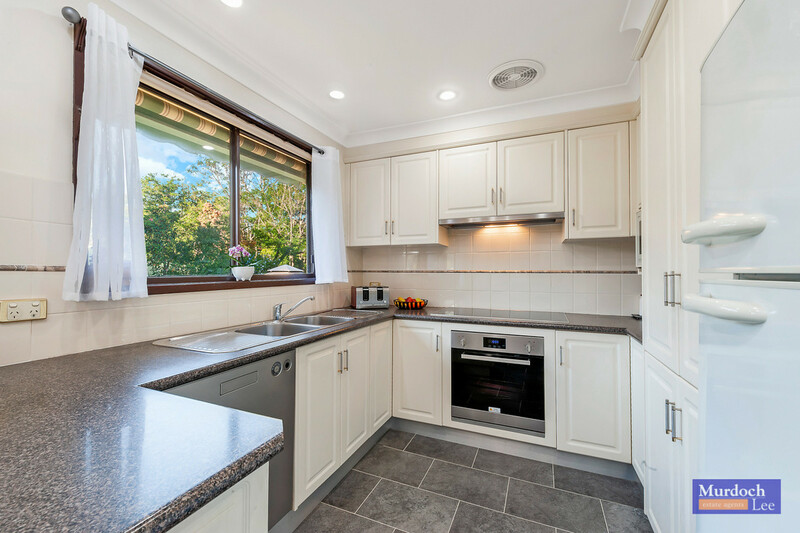 • Central kitchen overlooks rear garden, with ample timber cabinetry and quality stainless steel appliances including oven and Dishwasher. 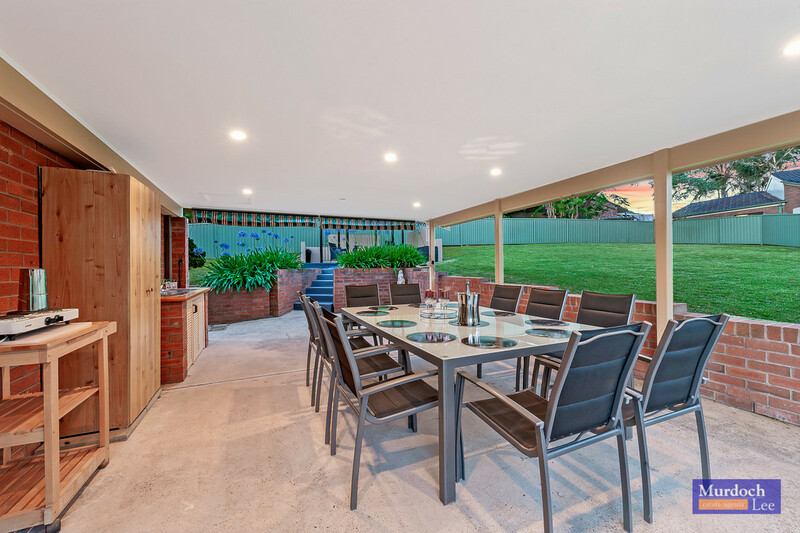 • Informal dining area flows effortlessly to formal lounge through arched wall, where family can relax in glorious northern sunlight or step out to lofty view from front balcony. 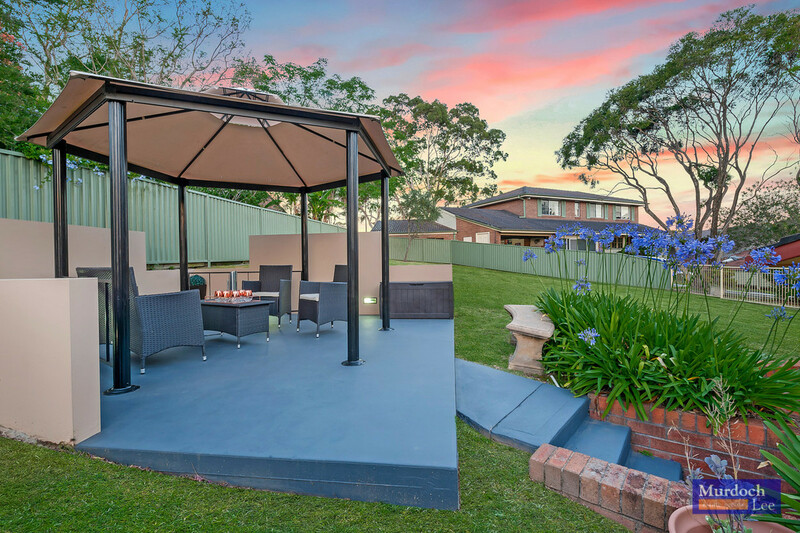 • Generous backyard under-cover entertainment deck features kitchenette, gas bottle outlet and roller blinds, ideal for extended family gatherings and BBQs. 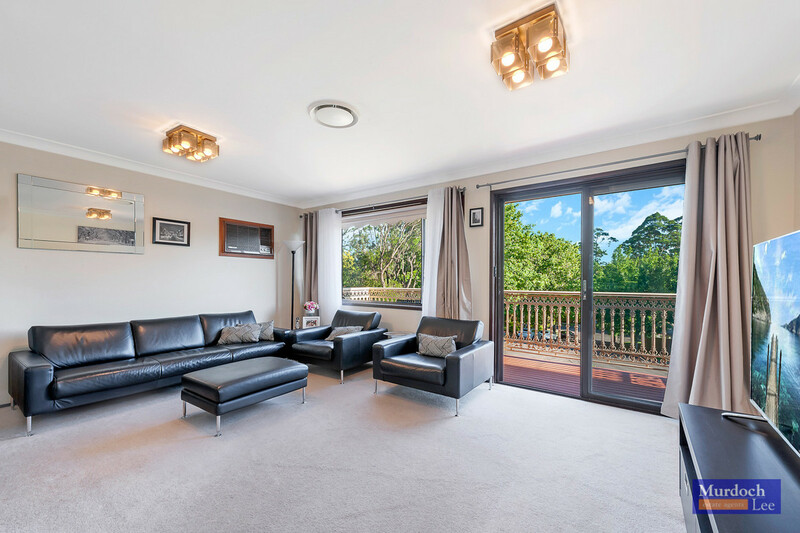 • Inviting double doors on entry leading to carpeted stairs and secluded study, while double automated garage includes shelved storage and internal access. 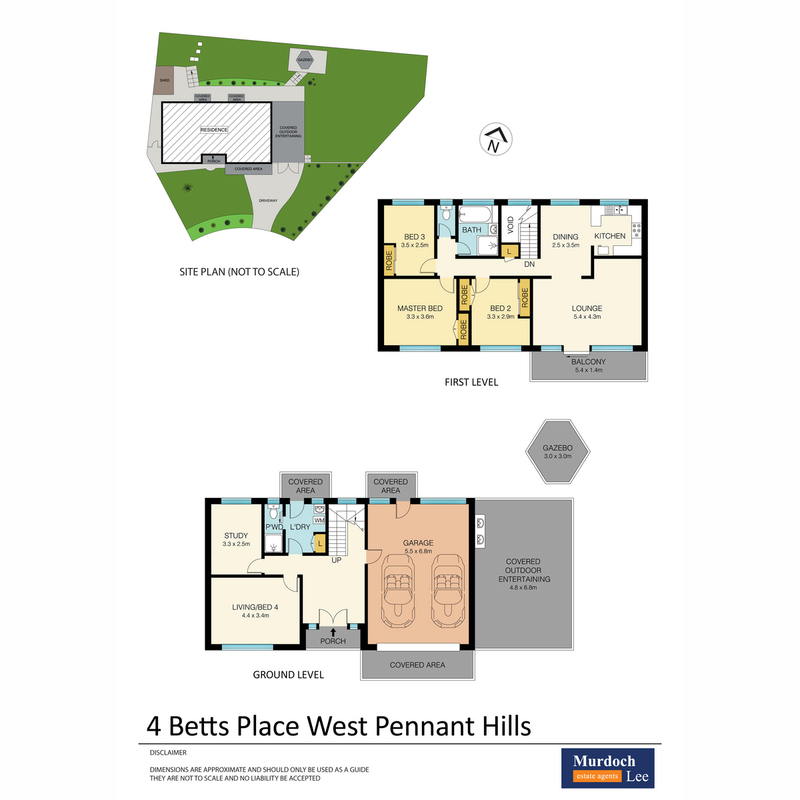 • Complete with two-zone ducted air-conditioning throughout, Holland blinds, recessed lights, front door intercom and garden shed. This sprawling sensation promises the easiest car parking for your visitors while you enjoy a panoramic tree-top view of a family-friendly neighbourhood.